The Jutanugarn Sisters: Peas in a pod, or chalk and cheese? 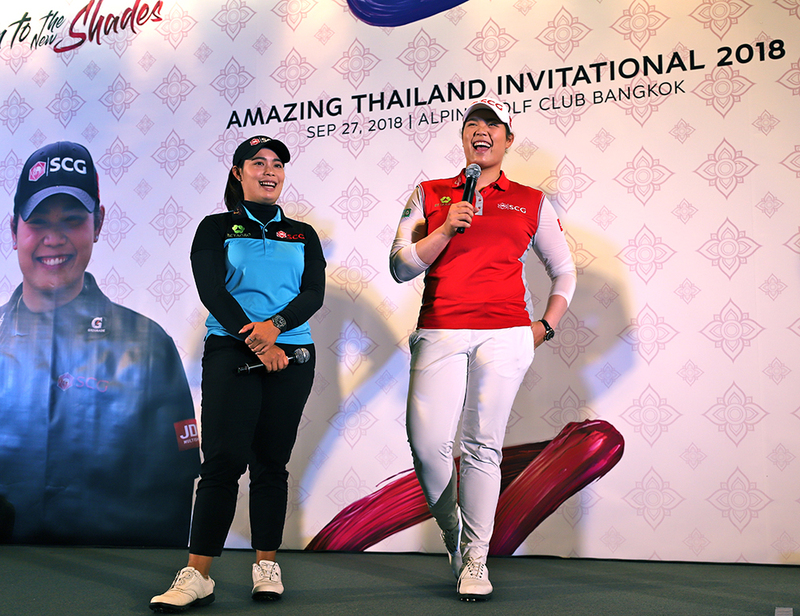 Their identities are so intertwined with one another and yet Ariya Jutanugarn and Moriya Jutanugarn are anything but similar. 22-year old Ariya likes to relax, listen to pop music and do nothing in her free time, while Moriya, two years older, loves to colour and cook. Ariya is the more outgoing and assertive, confidently firing off answers while looking you straight in the eye. Moriya, on the other hand seems more thoughtful and pensive, often allowing her younger sister to take the lead when answering questions. Ariya likes more heat in her som tam, while Moriya prefers a milder version. Ariya speaks and jokes freely while on the course, while the quieter Moriya takes on most of the golf shot demonstrations at the behest of her younger sister. Ariya is the more aggressive with her grip-it-and-rip-it approach, while Moriya is ostensibly more calculated and analytical. Both have seen success on the global golfing stage that most of us can only dream of. The pivotal moment came when the Jutanugarns started working with golf performance coaches Pia Nilsson and Lynn Marriott of Vision54. Ariya who went on to win the 2016 Women’s British Open just a few months after working with the team shared, “They helped me a lot, to not think about the outcome and just to stick to the process, have fun and to be nice to myself on the course.” said Ariya.